Optical sorting is one of the topics I’m hearing about in increasing amounts. For some wineries, it’s an unwelcome intrusion by tech companies into wine, an industry that’s pretty much rooted in what happened a few centuries ago. Heck, the French chose the best vineyards some 200 years ago and won’t change them, no matter what. For others, it’s a frustrating reminder that the most established wineries have access to the best gadgets. Other still see them as a sign of progress. The wine industry came into the main stream some 30-40 years ago when a few select vintners, yes many of them in Napa Valley, invented new, cleaner and more repeatable ways of making wine. Sure, vintage still matters and it always will (or at least, should) but isn’t it a good thing for wineries to be continually improving quality? How Does an Optical Sorter Work? So at the beginning of the day, the winemaker has to put in a set number of “perfect” berries. The optical sorter then is ready to go and will take pictures of somewhere between 1,000 and 10,000 berries per minute, depending on the machine in use. If it “sees” a wine grape that doesn’t match the perfect grape that it is seen, a small puff of air is sent to hit the grape out off the conveyor belt. 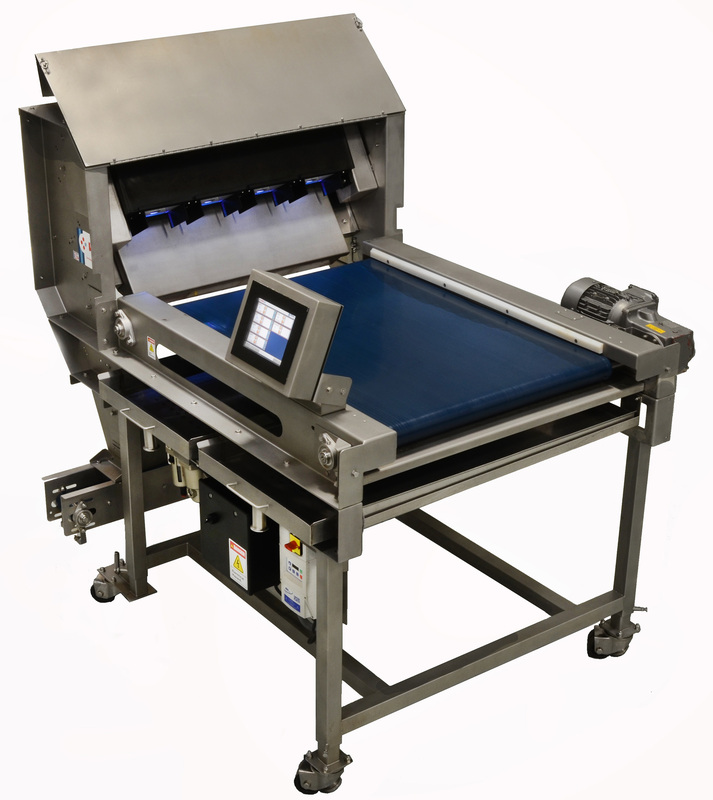 How Much does an Optical Sorter cost? The average optical sorter ends up costing anywhere between $75,000-$200,000. Vistalys, X-Tri (Italian), Winegrapetek and Vitisort are the main manufacturers. The main differences in cost end up coming down to how many tons of grapes you need processed per hour. How Many Grapes Does an Optical Sorter Throw Out? It’s been said that around 5% of all grapes are thrown out, but 7.5% of Merlot is tossed out, so it clearly varies by grape type. That’s something I can appreciate having sorted myself on a few occasions, this is a thankless job where mistakes are without a doubt, impossible to not make. I think this is progress. This is one of the last remaining spots in the winery where tech can truly help to replace human labor. While some folks make the argument that removing stems and unusually shaped berries does not improve wine quality (and it is a good point) the use of whole cluster is a winemaking choice. At the end of the day, much of what’s happening in winery production facilities is exactly that, allowing winemakers to make choices and then have their visions accurately represented in the finished product. If all an optical sorting machine does is remove the small percentage of unripe grapes that make it into the winery in the first place, that’s incredibly valuable. Plus, while $100,000 does seem like a ton of money, there are much crazier expenses at the average winery. Washington State University: Image courtesy of WSU, who has an optical sorter for their viticulture students to use.